Mega Power Star Ram Charan is working with Krishna Vamsi and this movie is currently being shot near Rameshwaran. As per the latest news being heard, a special birthday gift is being readied by the team for Charan’s fans. Ran Charan will be celebrating his birthday on March 27th and the first look of this new movie will be revealed on that day. Apart from Charan, hero Srikanth and veteran Tamil actor Raj Kiran will also be seen in important roles in this movie. Bandla Ganesh is producing this movie on Parameshwara Arts banner and Thaman SS is the music director. The film is being produced on a very grand scale with rich production values. 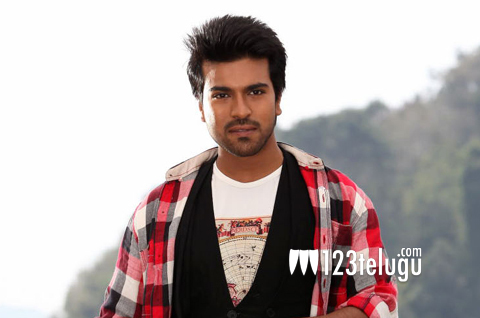 Charan is usually known for his mass entertainers so this role should come as a welcome change in his career.